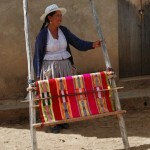 The tradition of handcrafted, quality work is a long one in Bolivia. Intricate textile and knit pieces have been coming out of the country for centuries, preserving the local culture but also providing the world with unique and skilled handiwork. Techniques passed down by generations are still used today to create masterfully produced garments, handbags and accessories. Not only are the artisans an extremely skilled bunch of people, but also the country’s unique position in the Andean nation gives it access to many specialty materials that are now coveted on the runways of New York, Paris and Milan. 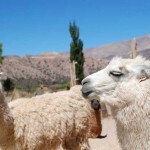 Luxurious alpaca, pima cotton and organic cotton are some of the more demanded specialty fibers coming out of Bolivia and neighboring Peru. The leather industry in the country is also quite developed and becoming more and more of an international player. Bolivia is considered to be one of the more marginalized nations in South America due to its largely informal economy and inland position on the continent. 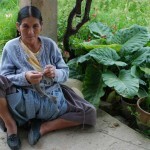 This does not mean the people do not have the capacity to work – on the contrary, the people are hard working individuals interested in keeping their heritage alive via hand production techniques. Contracting with these artisans gives them much needed economic opportunity and can create lasting change in their communities.